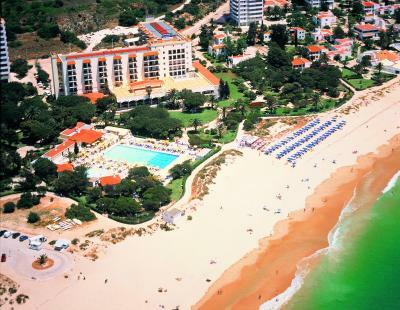 Lock in a great price for Pestana D. João II Beach & Golf Resort – rated 8.4 by recent guests! Breakfast was good. Beach was nice, staff were friendly. 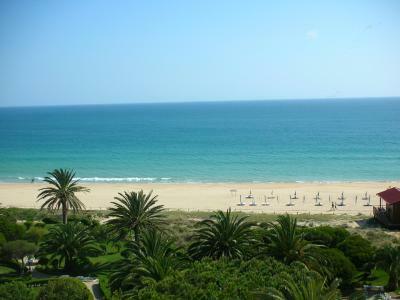 This is an older, but renovated hotel, with comfortable rooms and good facilities in an excellent location on the beach at Alvor. Breakfast was included and the overall visit was good value. Having no difficulties or worries with paperwork. 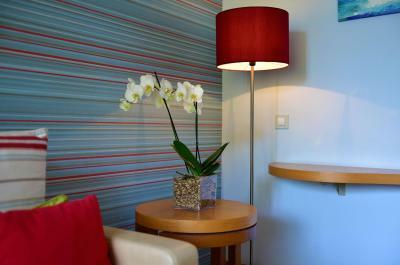 Ditto with all aspects of the hotel. Nice swimming pool. 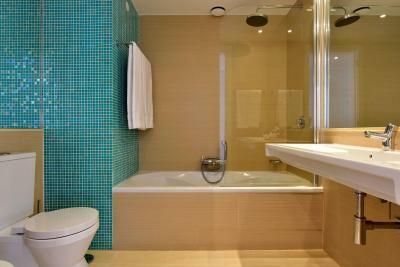 comfortable bed, small but comfortable room and very nice bathroom. 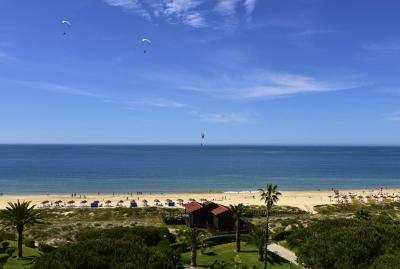 The Pestana Dom João II is in a perfect location for beach lovers who are looking for easy access to the beautiful Alvor Beach and Praia Tres Irmãos. 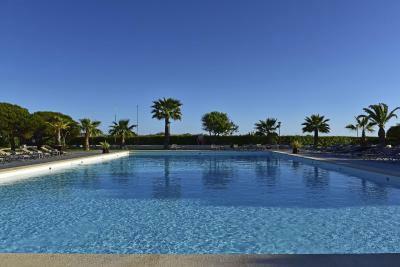 For those that like having a pool there is one outdoors as well as indoors so something for every taste. 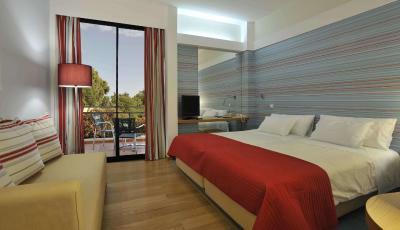 The hotel is close to the town center where there are several restaurants and shops, bars and night life. The staff is very friendly and attentive. Rooms have balconies with views of the ocean. If you’re looking for convenience and access to everything you need from the beach, restaurants, bars, a grocery store and shops and can go by foot this property is a great choice. Breakfast is fantastic. 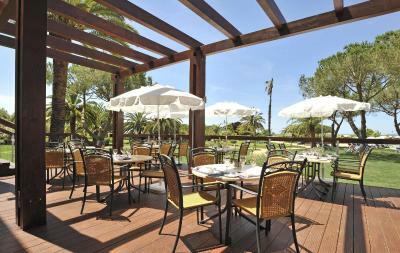 Huge variety to choose from and everything really fresh plus you get prosecco at breakfast, great after the night before. 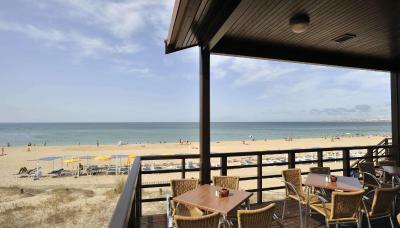 Beautiful area for walking, loads of boardwalks in all directions and only five minute walk to Alvor town centre. Two minutes by taxi and only 3.40e. Great pubs and great places for food also. Would recommend 'The Black Stove' for food and entertainment. 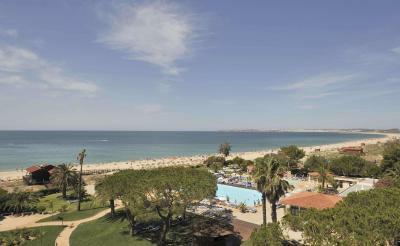 Alvor is a beautiful place and everyone we met were really friendly and helpful. Going back in July and cannot wait. 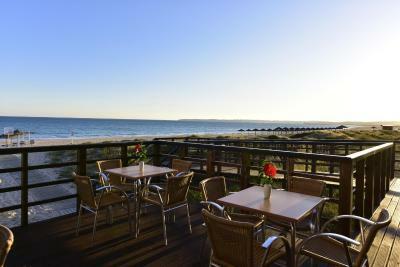 Food plentiful, varied and good quality, location excellent, staff very helpful. Happy hour a bonus! 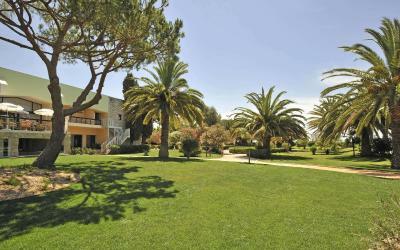 The location of the hotel is good as it is next to the sea and you can walk to the town if you do not want to drive. Nice indoor pool, sauna. Friendly staff. Near to the beach. 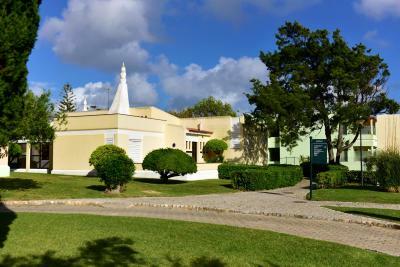 Pestana D. João II Beach & Golf Resort This rating is a reflection of how the property compares to the industry standard when it comes to price, facilities and services available. It's based on a self-evaluation by the property. Use this rating to help choose your stay! 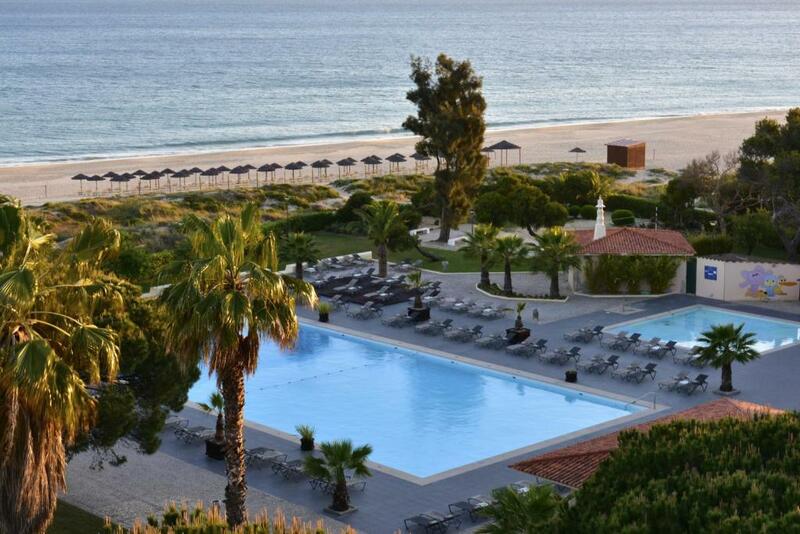 Just steps from the Alvor Beach, the Pestana Dom João II Villas & Beach Resort offers 3 swimming pools and calm, green grounds. Each room has a balcony. 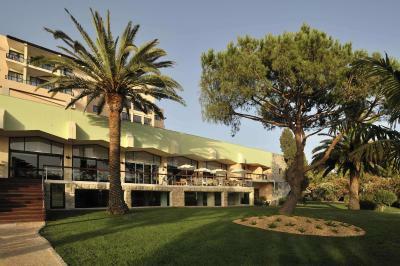 When would you like to stay at Pestana D. João II Beach & Golf Resort? 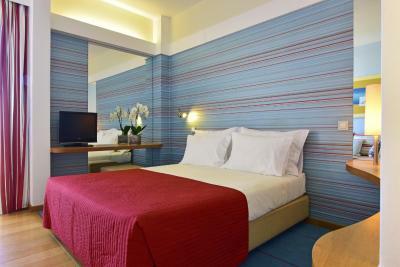 Overlooking the area around the hotel, this spacious room features a satellite TV and a minibar. 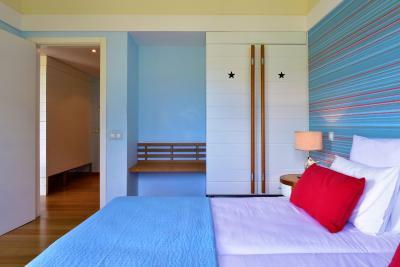 The Twin Room with Land View is elegantly decorated with modern furniture in bright colors. 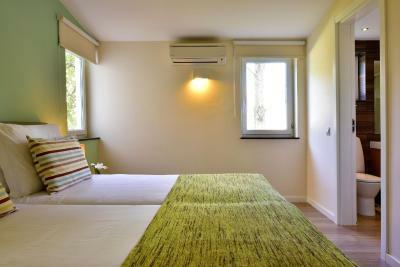 Each of the air-conditioned rooms has a balcony. 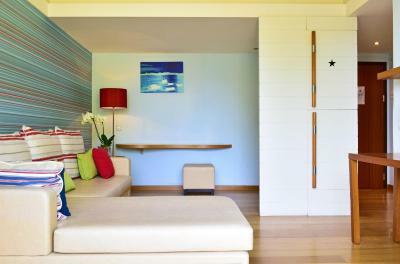 Overlooking the beach, this spacious room features a satellite TV and a mini bar. 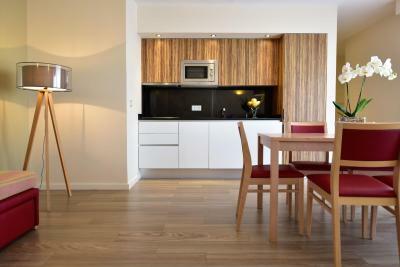 It is elegantly decorated with modern furniture in bright colors. Each of the air-conditioned rooms has a balcony. 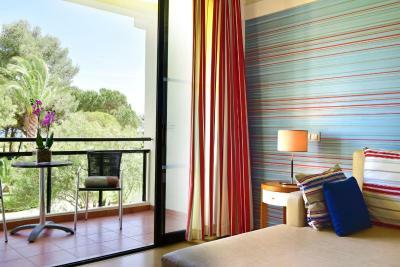 Overlooking the hotel's gardens, this spacious room features a satellite TV and a minibar. 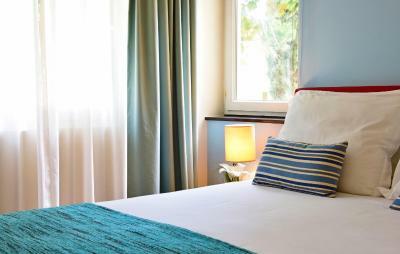 The Twin Room with Garden View is elegantly decorated with modern furniture in bright colors. Each of the air-conditioned rooms has a balcony. 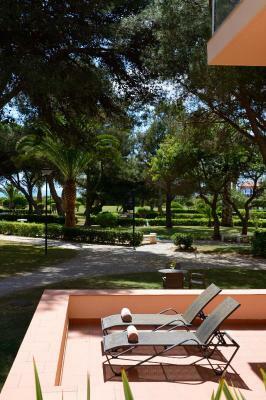 House Rules Pestana D. João II Beach & Golf Resort takes special requests – add in the next step! 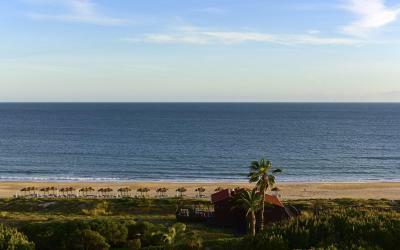 Pestana D. João II Beach &amp; Golf Resort accepts these cards and reserves the right to temporarily hold an amount prior to arrival. Pestana D. João II Beach & Golf Resort accepts these cards and reserves the right to temporarily hold an amount prior to arrival. Breakfast wasn't great - would have liked to have a poached egg and the bread was of low quality. Improvements.. constructive comments (1) breakfast only 3 tea coffee machines they need 6no far far too much queing (2) no tea or coffee facilities allowed in rooms .. policy needs reviewing.. When we arrived you had NOT told them that I had changed the reservation to 2 nights instead of 5 nights. The hotel insisted that I pay for the 5 nights in advance and I would get a refund when it was sorted out. I was not happy but paid and the next day I got the refund. Also I booked a deluxe sea view but we were slightly to the side as the Superior sea views were the rooms facing south and my room was facing east. This meant that I did not get the sun in the late afternoon. The fried breakfast was cold. i think that I am entitled to some form of compensation for the embarrassment caused. Hot buffet breakfast was hot! 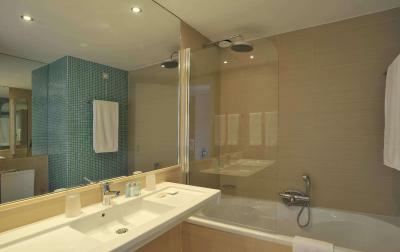 Didn’t like blind in bathroom! 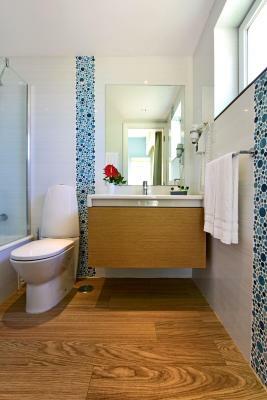 Hotel rooms are shabby, torn wallpaper, old linen and towels, bathroom bin rusty and dirty, some of the fixtures were loose in the bath and away from their fittings. I stayed three nights. After sleeping in the bed on the first night. I woke the next day as the day progressed l had bites on my body. Wasn't sure how. The following day l was covered all over. I took antihistamines and got no relief from taking them. When l got home l went straight to the doctors . The diagnosis is Bed Bugs from the bed l stayed in at the hotel. It was very distressing and took two weeks to get rid of them after antibiotics and creams It spoiled my golf break completely. 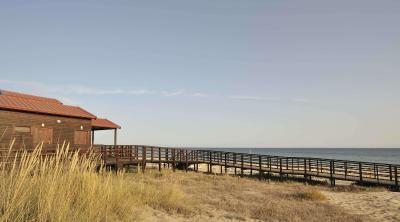 Proximity to beach and town.